PRS coaches' combination of expertise in Physical Therapy and Strength Training enables our team to take a unique, individualized approach for each client to help you remain injury-free and train optimally so you can surpass your goals. For clients with pre-existing or new injuries, our global assessment process will help us identify and overcome the root of a problem that previously may have been misdiagnosed or mistreated. Our hands on, practical, active approach to physical therapy, strength, and nutrition programming yields results. Coaches adjust programming to meet your changing needs, recognize potential movement, and programming issues and adjust them before they lead to injury. Our coaches are with you every step of the way from the treatment table to the win. PRS' progressive and practical approach has helped elite athletes come back from injuries, weekend warriors realize ambitious goals, and people of all activity levels and ages move more freely, get stronger, and live their best lives. Dr. Rori Alter founded PRS to help everyone from elite athletes to weekend warriors to people of all ages and activity levels obtain optimal health and wellness. Her training, knowledge and experience enable her to play a unique role in the lives of her clients. She not only understands how to customize and adjust programming to give her clients the best results, but also diagnoses and treats injuries and helps clients adjust movement patterns to train injury-free. 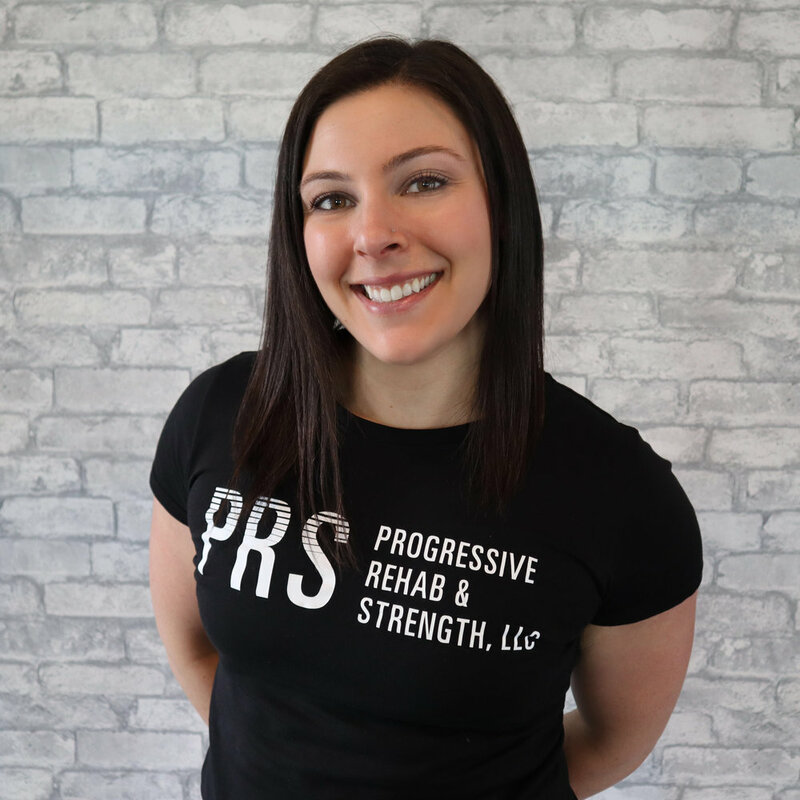 Rori is a Full Body Certified Active Release Techniques Practitioner, a Starting Strength Certified Coach and a sought-after Physical Therapist and Coach within the powerlifting community. Rori holds a Doctorate in Physical Therapy from New York Institute of Technology and a Bachelor of Science in Health Science from Boston University. At Boston University, she specialized in Human Physiology, a topic that has fascinated her since she was a young dancer training in New York City. Rori transitioned from the performing arts to racing triathlons in her early 20s. She not only competed, but also started the Boston University Triathlon team and competed on the regional and national collegiate level during her undergraduate and graduate careers. Dr. Michael realized the benefits of barbell training long before becoming a physical therapist. At the young age of 18, Michael participated in his first powerlifting competition but soon after underwent shoulder surgery for a long-standing baseball injury. After experiencing how heartbreaking injury can be as a young athlete, Dr. Michael made it his mission to help athletes optimize their recovery, program, & technique to rise above their injuries and unlock their ultimate potential. Dr. Michael aims to help people of all ages confidently develop strength to overcome their individual limitations. His coaching philosophy is centered around teaching, and progressively loading, the main barbell lifts to increase general strength, reduce injury potential, and improve quality of life. For the athlete, this means increased strength and muscle mass directly enhancing sports performance, and for the mother-of-two, the ability to move through life with less effort. Michael received his Doctor of Physical Therapy in 2016 from Duquesne University and his Bachelor of Science in Biology from Saint Vincent College. After starting his career as a physical therapist, Michael realized the impact that continued barbell training has beyond physical therapy care. After developing a relationship with PRS founder, Dr. Rori, as far back as when he was in graduate school, Michael has joined the PRS team to reach and help more athletes long term through online coaching. Dr. Michael also owns and operates Barbell Rehab, in Pittsburg, PA, where he offers on-site physical therapy and barbell training. Alyssa has a passion for helping people discover their physical potential. She specializes in teaching people how to move well in order to achieve optimal movement for their bodies to decrease pain, increase strength, recover from injury, and achieve their ultimate goals. Alyssa holds a Bachelor of Science in Kinesiology, Exercise and Sport Science from Temple University and will receive her Doctor of Physical Therapy degree from Massachusetts College of Pharmacy and Health Science University in May 2019. She began her work as a fitness professional and coach after completing her bachelor’s degree in 2011 and, shortly thereafter, became involved with competitive powerlifting in 2012. Her personal experience as a fitness professional and strength athlete has enhanced her ability to relate to her clients and provide them with effective coaching and training. Alyssa was motivated to further her education and earn a doctorate in Physical Therapy in order to provide her clients with continuous care. Her goal is to address all aspects of each client’s physical needs and allow for fluidity as they transition from recovery to higher level training. Alyssa combines her experience as a competitive powerlifter with her knowledge of movement and anatomy to help her clients achieve their goals.